Hector Morales - STEER FOR STUDENT ATHLETES INC.
Dr. Hector R. Morales-Negron is an optimal performance consultant who aims to help athletes, parents, and coaches improve their athletic and competitive experience. He is a native of Manati, Puerto Rico and attended the University of Puerto Rico where he was a Judo and wrestling athlete for four years. He completed the UPR Army ROTC and graduated with a degree in Kinesiology and a commission as an Air Defense Artillery second lieutenant in the U.S. Army. In the Army, he served for 26 years in leadership positions as a platoon leader, battery commander, and as the head of multiple staff sections at the battalion, brigade, and division levels. In 2004, Hector became the first Hispanic officer selected as an Academy Professor of Physical Education at the United States Military Academy at West Point and attended Florida State University where he earned his Ph.D. in Sport and Exercise Psychology. After his return to the West Point in 2008, in addition to his instructional and leadership duties, he was the Head Coach of the West Point Judo team that brought the first National Championship to the Academy in the 50 years of the program. West Point Judo also won fourteen total National Collegiate Judo titles in all four divisions: Advanced men and women and novice men and women from 2009 until 2014. At the Academy, he was also the Director of the Personal Fitness Development, the Director of Program Support, and was responsible for the combatives (hand to hand combat) instructor certification program. Lastly, Dr. Morales was also the director of competitive clubs leading and coordinating the character through sports development program for 27 competitive clubs at West Point. Dr. Morales, now a retired Lieutenant Colonel, is an Army Master Fitness Trainer and an Army Master Combatives Instructor and certified over 1000 soldiers to lead combatives programs throughout the Army since 2003. He also represented the U.S. as an athlete in the Military World Games in 1995 and coached the U.S. Armed Forces Judo Team from 2003 until 2013 to six World Military Judo Championships in Italy, Croatia (2), India, Brazil, and Kazakhstan(Manager). In 2013 he received the USOC Developmental Coach of the Year for Judo, the BG James Anderson Teaching Excellence Award at West Point, and in 2014 Coach Mike Krzyzewski's Teaching Character through Sports Award. Dr. Morales is a Certified Mental Performance Consultant (CMPC-AASP) through the Association for Applied Sports Psychology and a member of the USOC Sports Psychology Registry. 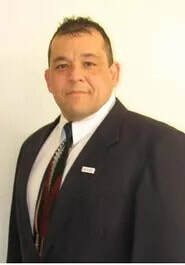 He currently is the Director of Cultural Readiness and Peak Performance Coach with Pittsburgh Pirates Baseball Club, directs the mental skills program for the STEER for Students Athletes organization and is the U.S. representative to the International Judo Federation Military and Police Judo Commission. He has also worked with Olympic, professional, and collegiate level athletes as well as developmental travel teams to assist coaches and players in the development of their motivation, composure, concentration, confidence, resilience impacting their overall performance. Hector is married with three children and lives in Parrish, FL. He is the Founder and Director of Performance of Peak Mental Game (PMG): Optimal Perfornance Education, LLC.